3 Bedroom Semi Detached Bungalow For Sale in Bedford for Asking Price £345,000. 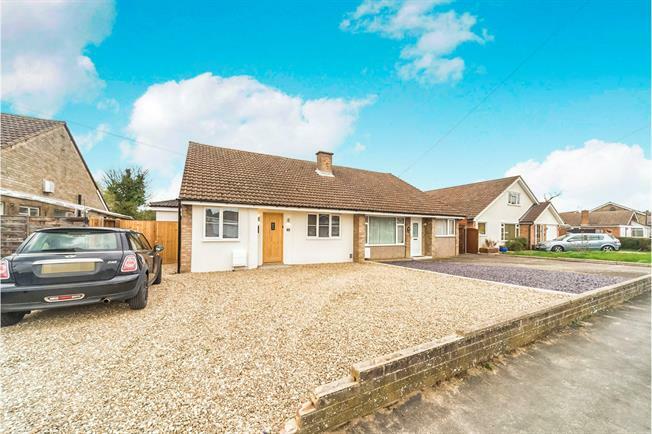 Recently refurbished and extended three bedroom semi detached bungalow located in the popular Putnoe area of Bedford. The property now offers a refitted open plan 27ft kitchen/family room with double glazed BI folding doors to the landscaped rear garden. There is a separate 18ft lounge and study, and an en suite shower to the master bedroom, a a refitted family bathroom. Outside there is a low maintenance gravelled front garden with offers off road parking for two cars and a newly re laid turfed rear garden with side access to the front. Radiator. Door to study and lounge. UPVC bi-fold double glazed door, opening onto the garden. Double glazed uPVC velux window facing the rear. Radiator. Roll edge work surface, built-in units, one and a half bowl sink, integrated oven, gas hob. Double glazed uPVC velux window facing the rear. Heated towel rail. Low level WC, double enclosure shower, pedestal sink. Double glazed uPVC window with obscure glass facing the side. Heated towel rail. Low level WC, panelled bath, pedestal sink. Newly landscaped rear garden with paved patio are leading to mainly laid to lawn. Side access gate to front. Gravelled front garden which offers off road parking for two cars.